You have a story a style and a dream. Express those with wedding flowers. At Gloria’s Flowers, we understand that wedding flower packages are an emotional part or your entire wedding experience, highlighting the beauty of the bride when she appears in the doorway in a cloud of perfection. Experience the beauty and elegance of our wide selection of handcrafted Bride’s Bouquets, wedding ceremony flowers, and centerpieces. A little pop of color and a subtle touch of texture can be the perfect finishing touch of the boutonnieres for grooms and ushers and wrist bouquets for parents that we offer. Custom design services for your bride’s bouquets and your bridesmaid's bouquets are our specialty along with creating table centerpieces that will shine brightly for your entire ceremony. Let our years of wedding experience help make your event really special. With Gloria’s Flowers, you can get beautiful floral arrangements and packages for bridal and bridesmaid's bouquets in the Vancouver area, along with wedding flower arrangements for Surrey and Langley. 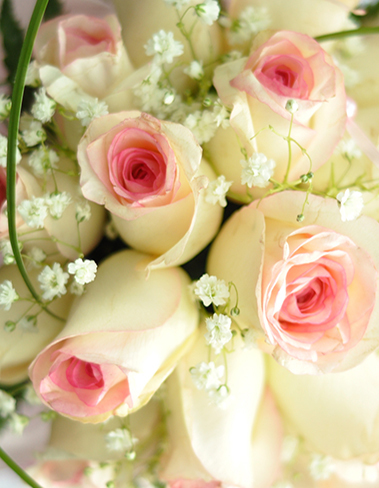 Get the best deals on beautiful floral arrangements for your ceremony and reception.